Front panel LED matrix Oscilloscope showing the pre-filter sound. 12 sweepable wavetables with smooth / stepped mode, sweep direction. 24 single cycle waveforms mixable viy Add, Xor, Split, Phase Distortion, FM. 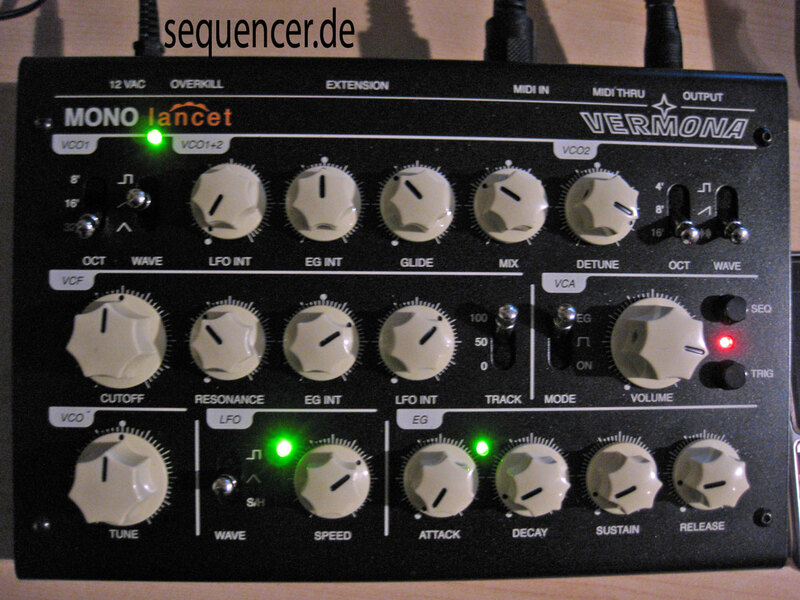 120 step programmable sequencer, records note value and velocity. Noch kein Waldorf User? Macht nichts! Wer zwei Softwareprodukte bestellt, kommt ebenfalls in den Genuss des Sommer Specials. Largo, Lector, Lector-Upgrade, PPG V.3, PPG V.3 Upgrade, Waldorf Edition, Waldorf Edition-Upgrade oder Blofeld License SL. Searching for Images for Sequencer.de /SynthDB – please help!